LG announced their android smartphone, the Optimus G will be available in the United States on the AT&T and Sprint networks. It does not reveal any news regarding its price and availability but we can expect those details very soon. 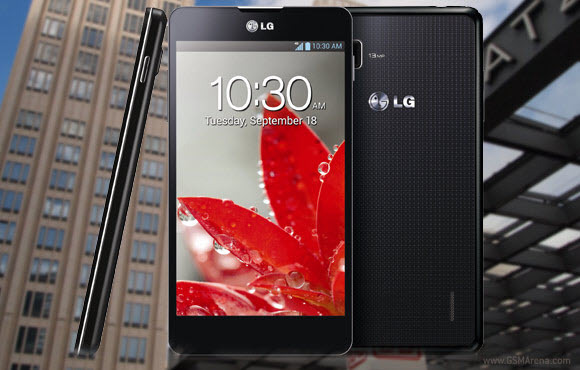 Sprint and AT&T are the first wireless service providers in the world to offer the LG Optimus G smartphone. It is the world’s first Quad-core LTE (Long Term Evolution) Smartphone with the Qualcomm Snapdragon TMS4 Pro processor– a 1.5GHz quad-core CPU processor with Asysnchronous Symmetric Multiprocessing, which enables each core to power up and down independently to increase performance while saving battery life. It is not only the fastest phone on the market, but also one of the most powerful. This smartphone combines with LG’s leading LTE, display and energy technologies with Qualcomm’s Snapdragon S4 Pro Processor to create an extremely fast and incredible mobile experience. It is equipped with high density 2,100mAh battery and impressive 4.7-inch True HD IPS Plus display. Combined with the LTE technology, the impressive processor allows the users to quickly and easily access the videos while running on the other apps at the same time. The LG Optimus G creates the perfect combination of pleasure and functionality through a unique user experience not seen on any other device. This function allows the device to show two different screens simultaneously on one display so users can quickly send an important work e.mail while playing a graphic-intense video at the same time. It enhances the viewing experiences by enabling consumers to zoom in up to 5 times while watching video to see small details normally hidden on the screen. Photographs can be enhanced with camera capabilities like Time Catch Shot, which empowers the user to choose the best photo among various shots taken before the shutter button is pressed. It allows the users to take notes on captured documents or photos with their fingers and they can share them with their family and friends as an attachment or URL. It allows the consumers to customize the sizes and images of their most used apps. It not only allows mirroring between the smartphone and a TV or monitor, it also has the ability to display different content on each screen. For example: a slide presentation can be displayed on the monitor while the Optimus G shows the accompanying speaking notes.